I really like this, Paul. 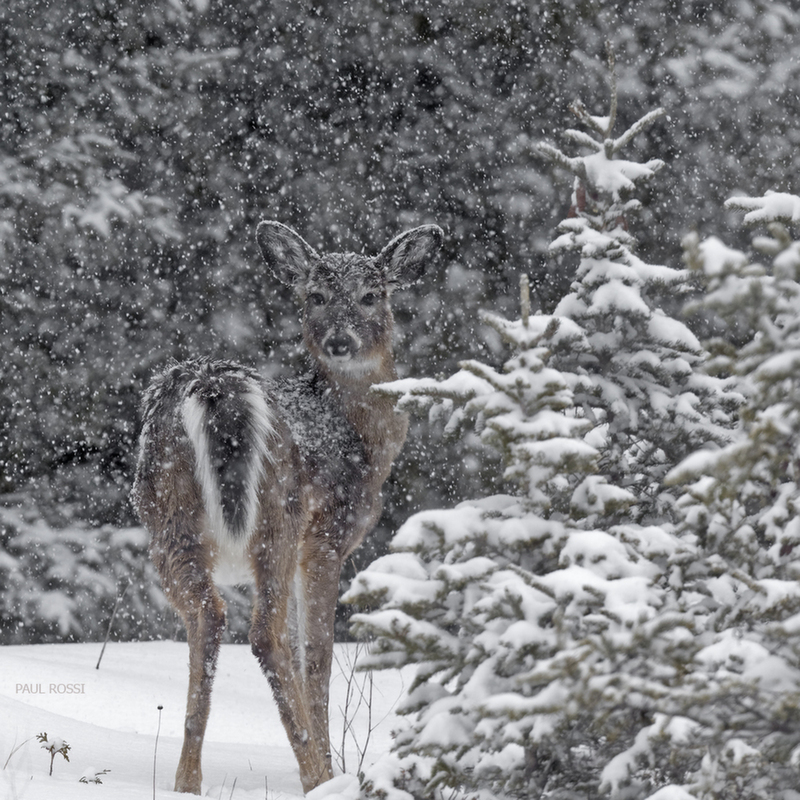 The heavy snow almost camouflages the deer. Printed large, I bet this would be a great conversation piece. A beautiful, well composed image. Like this too. Almost invisible! A great illustration of the harshness of winter for wildlife, that is some heavy snow. I like this as presented, but a touch more room at the bottom to give room for the feet, would make it even better. Snow scene looks great-the look-back is a charmer-fun to see both ends at the same time. .